Every international shipment must meet U.S. export requirements as well as the import mandates of the country to which it is headed. The customs clearance process is unavoidable and, if not handled properly, can result in significant delays, fines, and even clearance denials. The clearance process is also time-consuming and confusing, which is why most businesses choose to enlist a customs broker or experienced logistics provider to manage the process on their behalf. An experienced third party will know precisely what paperwork and documents will be required, including necessary invoices, shipping manifests, and certificates of origin. In addition, a third party will understand all filing processes, including new requirements for all data to be provided electronically and in advance of a shipment’s arrival. An experienced third party can manage the process on a business’s behalf, ensuring compliance and alleviating the need to dedicate personnel to this highly technical function. Failure to Determine Eligibility for Export. For some U.S. businesses, problems with the customs process begin with a failure to determine if goods are even eligible for export. Most goods are, but a business needs to be certain that its products do not require an export license or permit and are not subject to special compliance procedures or an outright export prohibition. The most expedient way to determine eligibility is to check with the U.S. government agency that has export control over the product in question. These agencies – known as “other government departments (OGD)” – include the U.S. Fish and Wildlife Service; Department of State; Bureau of Industry and Security; Bureau of Alcohol, Tobacco and Firearms; and the Nuclear Regulatory Commission; among several others. The U.S. Customs and Border Protection agency (CBP) enforces export regulations on their behalf, and an exporter has responsibility for determining if its product falls under the regulatory control of any OGD and to take steps – usually by obtaining a permit – to ensure compliance. Similarly, a business needs to determine if its product is included on the Commerce Control List (CCL). Maintained by the Department of Commerce, the Commerce Control List includes products that require a special export license or that may be banned from exportation.In general, items on the CCL are considered “dual-use goods,” which have both military and civilian purposes. This can include computers, software, vehicles, aircraft parts, and even pathogens. Again, while the vast majority of exports do not require additional scrutiny by the U.S. government, an exporter must err on the side of caution and take steps to ensure that its products are eligible for exportation and that all necessary permits and documentation are in order. Most paperwork and documentation delays can be avoided. Common sense says that a customs form should be completed in full, so the question then is why would anyone submit a form with missing information? In some instances, information is omitted simply because of an oversight. Other times, the individual completing the form may not have the required information or understand what is being requested. The bottom line is incomplete documentation and missing paperwork are top reasons for shipment delays, which is why most businesses entrust the compliance process to an experienced third party. Improper Tariff Classification. Every product crossing an international border must bear a tariff classification code, based on a “library” of international codes known as the Harmonized Commodity Description and Coding System (HS). Tariff classifications are used to assess tariff rates as well as eligibility for free trade agreement benefits. With the HS system in place, international traders all use the same codes, which ensures uniformity, regardless of the countries involved. In other words, a shipment of steering wheels arriving in the United States would bear the same HS code as a similar shipment arriving in Germany, China, or anywhere else. The HS system provides a listing of six-digit identification codes for each product category. Countries have the flexibility to add additional coding numbers, based on their specific purposes. In the U.S., for example, imports must bear a 10-digit code as found in the Harmonized Tariff Schedule of the United States (HTS), which is maintained by the U.S. International Trade Commission. In Canada, products must also bear a 10-digit Customs Tariff code. Selecting the proper code can be tricky, though, since code determinations can vary based on slight product variations. But, since each code carries a different tariff rate, it is very important for the right subheading to be assigned. For exporters, a 10-digit code must also be assigned, but that code must come from the U.S. Census Bureau’s “Schedule B.” Schedule B codes are rooted in the HTS but are intended to capture different information and therefore are not identical. International shipping can be exacerbated when the parties involved in the transaction fail to agree on established terms of service. This can be a confusing exercise but is critically important. Incoterms 2010 is the most recent version of the internationally recognized set of shipping terms, as maintained by the International Chamber of Commerce. International shipping operates under a uniform set of standards – known as Incoterms – that establish clear expectations and responsibilities between buyers and sellers. “Incoterms” is shorthand for “International Commerce Terms” and are developed and maintained by the International Chamber of Commerce (ICC) located in Paris, France. Because of Incoterms, buyers and sellers have a clear understanding of what constitutes “delivery,” for example, and which party is responsible for unloading a vehicle, who is liable for certain payments, and who has responsibility for customs compliance. This avoids costly mistakes and misunderstandings. The current list includes 11 specific Incoterms, which are divided into two categories based on mode of transport. For purposes of ground shipments traveling between the United States and Canada, Incoterms choices are generally limited to the three terms commonly referred to as “Arrival Group D.” Within this category are the Delivered at Terminal (DAT), Delivered at Place (DAP), and Delivered Duty Paid (DDP) options. The primary difference between these three terms of service is that a DDP transaction places most responsibility on the shipper, including responsibility for payment of customs, taxes, and brokerage fees. DAT and DAP shipments place these responsibilities on the importer/buyer. Another option for a U.S./Canada transaction is the Ex Works (EXW) Incoterm, which places nearly full responsibility for the entire transaction on the buyer/importer. 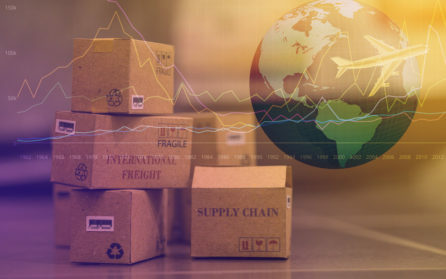 Since most businesses do not have the internal resources to manage their international shipping processes, EXW is generally not a viable option. The choice then really comes down to “duty paid or duty unpaid?” Does it make more sense for a U.S. business to prepay its customers’ customs fees and transaction costs at time of purchase, or is it preferable to have the customer pay those costs at time of delivery? Also, under what circumstances is it preferable for a U.S. business’s international customer to oversee the importation process, as opposed to having the U.S. business bear responsibility? Failure to determine shipping terms ahead of time will result in confusion and delays. A shipment arriving at an international border will have to wait – and possibly accrue fines – as the shipping company and shipper work out the details that should have been handled ahead of time. U.S. Customs and Border Protection (CBP) has significantly accelerated the number of customs audits in recent years as part of its efforts to strengthen border security by closely monitoring shipments entering and leaving the country. Faced with the strong likelihood that CBP will make an inquiry, a smart business will proactively plan for that day. For starters, a business should immediately take steps to retain and catalogue all shipment records. Proper record-keeping is a cornerstone of a good compliance program, with CBP requiring most records be maintained for no less than five years. Livingston customs brokers estimates a typical audit takes more than a year to complete and roughly 1,000 hours of staff time. This is in addition to fines and other punitive actions that may be levied, should any violations be uncovered. Clearly, an exporter will want to take the steps necessary to ensure compliance, and try and minimize the likelihood of being selected for an audit. After reading the first six “helpful tips” in this paper, a business interested in exporting might be thinking the process is overwhelming or more trouble than it’s worth, which is why this final discussion point might be the most important: with an experienced and innovative logistics partner at your side, the path to exporting becomes a lot easier. An experienced logistics partner will offer comprehensive management of the entire export process. Today an exporter can look to its logistics provider for seamless international service that ensures efficient, on-time deliveries all over the globe. Flexibility. It used to be that a U.S. exporter had few choices when it came to moving goods across international borders. A transportation company would tell the exporter what its options were, regardless of the shipper’s actual needs. Today that has all changed, and in many ways, it’s the opposite now. Instead of being given a “one size fits all” solution, an experienced provider will have access to a range of assets from which it can customize a solution. This means a shipment can often travel direct – or near direct – to its final destination without having to endure wasted miles, sit idle waiting for a connection, or pay for premium levels of service that are not warranted. Technology-Based. Most logistics companies have invested in technology systems, but not all have become “masters” of technology. An industry leader will maximize its technology system – and continually invest in new capabilities – in order to develop increasingly innovative solutions. A technology-based provider will never be satisfied with the status quo and will continually be on the lookout for more efficient solutions. An exporter should ask itself: “When was the last time my logistics provider proactively suggested a more efficient way to move my shipments?” If the answer is unclear, or if the answer is “never,” it’s probably time to consider a new partner. Distribution Network. Make sure your provider has a distribution network in place that meets your entire coverage needs. If your supply chain includes suppliers or customers in Asia, for example, make sure your provider offers coverage to the precise locations your shipments need to go. Or if your shipments would benefit from an intermodal air/ ground solution, make sure your carrier has access to the right equipment. Continual Improvement. You will want a partner that constantly monitors your account and looks for new and better service options. Too many logistics partners forget about their customers after the contract is signed, and businesses find themselves locked in to certain service levels, even if a better option becomes available. You want a partner that is invested in your success and offers ongoing recommendations for service improvements. Customs Expertise. As U.S. businesses continue to seek international opportunities, logistics providers will play an important role in managing the customs process on their behalf. Clearly there is no room for a shipment to be held at the border because of missing documentation or some other mistake. Make certain your logistics partner has a proven track record managing the international customs process. A truly experienced provider will ensure shipments arrive at the border with all documentation prefiled, with the correct tariff classification assigned, with all duties and taxes paid, and with a determination of any free trade benefit eligibility. Customer Service. Your logistics provider must take seriously your commitment to your customers and to your international growth plans. A good logistics provider will have staff dedicated to your business, who understands your objectives, and who can advise how best to meet those goals. Equally important, a customer service representative must be easily accessible should something go awry or a last-minute change become necessary. In fact, right now is an ideal time for U.S. businesses to reach out to international markets. There has never been more federal and state assistance available to help, and the global marketplace, including eCommerce, provides unprecedented opportunities. In addition, today’s innovative logistics providers can provide comprehensive management of the entire export process, with fast and efficient solutions to deliver goods across the world. Exporting could be the best thing to ever happen to a business. And with a plethora of resources to help, there’s really no good reason not to at least explore the idea. Remember, 96 percent of the world’s customers live beyond U.S. borders. Purolator International is the best-kept secret among leading U.S. companies who need reliable, efficient, and cost-effective shipping to Canada. We deliver unsurpassed Canadian expertise because of our Canadian roots, U.S. reach, and exclusive focus on cross-border shipping. Every day, Purolator delivers more than 1,000,000 packages. With the largest dedicated air fleet and ground network, including hybrid vehicles, and more guaranteed delivery points in Canada than anyone else, we are part of the fifth-largest postal organization in the world. But size alone doesn’t make Purolator different. We also understand that the needs of no two customers are the same. We can design the right mix of proprietary services that will make your shipments to Canada hassle-free at every point in the supply chain. Contact Purolator International today to partner with our international shipping experts.